A young Barred Eagle Owl, found being held captive. 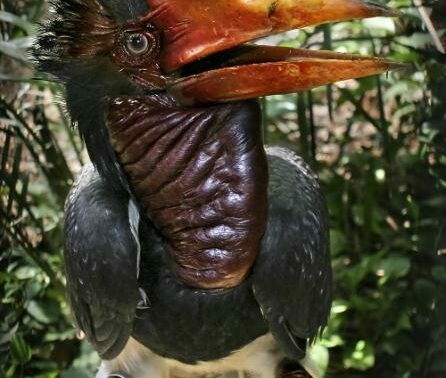 It is now being rehabilitated then released back into the Lower Kinabatangan Wildlife Sanctuary. Photo © HUTAN. Ranger Berjaya Elahan, from the Malaysian state of Borneo, recently reported on the successful rescue of a rare wild owl that was being kept as a pet. Berjaya is supported through Keepers of the Wild appeal, launched by the World Land Trust (WLT) to help put more rangers in the field and protect wildlife on nature reserves across the world. 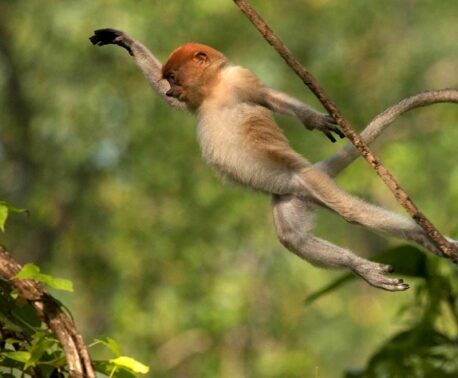 Working for WLT partner organisation, HUTAN, Berjaya helps protect the Lower Kinabatangan Wildlife Sanctuary – home to some of the most iconic species in Borneo, such as the Orang-utan and Pygmy Elephant. During a day’s shift in August, Berjaya received a report that a worker from a nearby oil palm plantation was keeping an unusual looking owl as a pet. With support from the Sabah Wildlife Department, Berjaya investigated and found a juvenile owl being kept captive in poor conditions. The owl was identified as a Barred Eagle Owl (Bubo sumatranus), a scarce resident to the area’s lowland forest and the least common of the three large Borneo owl species – the two others being Buffy Fish-Owl (Ketupa ketupu) and Brown Wood-Owl (Strix leptogrammica). 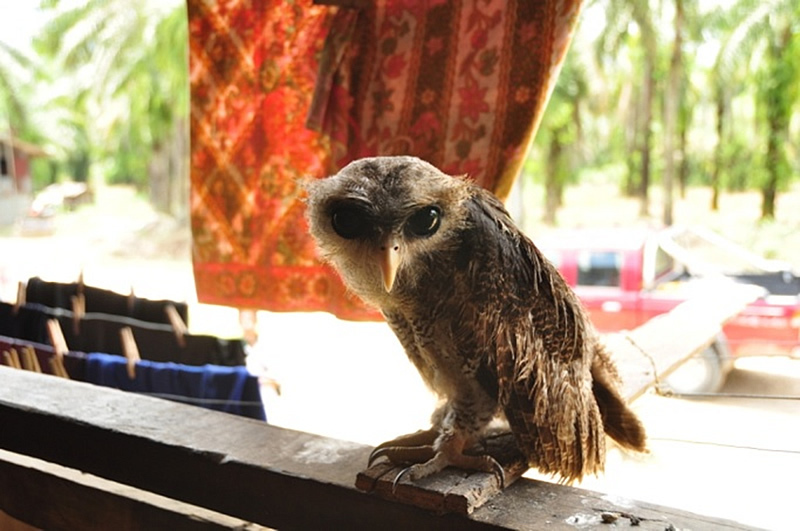 The worker said he found the owl wandering around in one of the blocks inside the oil palm plantation. He was struck by its beauty and decided to keep it as a pet. He was unaware of the wildlife laws and did not know about the list of protected animals. The enforcement officer, who had accompanied Berjaya, explained why you shouldn’t keep wild animals as pets and the legalities involved. The worker willingly handed the owl over and in the future he promised to alert ranger Berjaya or the Sabah Wildlife Department if he saw an animal that he thought was uncommon to the area and required rescuing; frequently animals get lost in plantations, because the forest has been fragmented, and they need to be returned to their wild habitat or rehabilitated. Now that Berjaya has successfully rescued the young Barred Eagle Owl, it will be fed and monitored at the Gomantong Willdife Department before being released back into the lowland forest of the Lower Kinabatangan Wildlife Sanctuary. This is just one example of the important work that rangers carry out every day in reserves across the world – help support them through the Keepers of the Wild appeal.